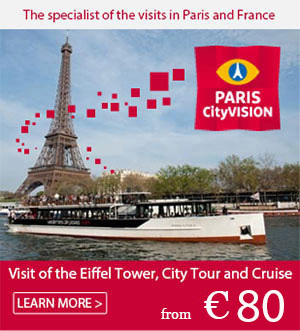 The Hellenistic statue of the Louvre museum is now reopened to visitors. This is accompanied with a temporary exhibition until 15 June 2015. Just in front of the impressive Daru Stairs, one of the Louvre’s stars has finally taken its place. The victory of Samothrace is the favorite piece of visitors. It shares its first place in the ranking with the Mona Lisa and the Venus of Milo. The renovation of this 5.57 meters high statue has staggered over 10 months. A major project involving experts from all around the world has started to renovate the 200 white marble blocks of Paros weighing 30 tons. 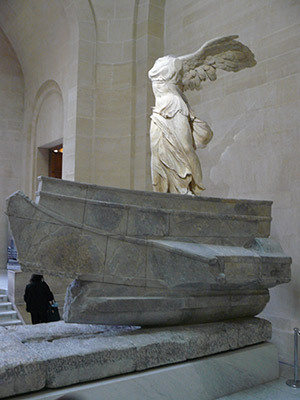 As its name suggests, the Victory of Samothrace represents a winged victory. Surprisingly, Samothrace does not refer to the name of its sculptor. In reality, this is the name of the island where the white marble goddess has been discovered. A doubt remains about the creator of the ancient Greek sculpture. The specialists highlight the fact that the Victory of Samothrace shows similarities with the Pergamon Altar of which the sculptor remains unknown. Until the 15th of June, the museum dedicates an exhibition to rediscover this Hellenistic masterpiece from the 2nd century B.C. Exposed to draughts for 130 years, the treasure lost of its splendor. However, today, the Victory of Samothrace has revealed its garment of light. Thus, the public can understand the history of this woman who represents the victory’s goddess standing on a ship’s bow. Also, explanations will enable the visitors to grasp the ins and outs of the different phases of the restoration. Discovered in 1862 by Charles Champoiseau, the statue surfaced in the middle of the Samothrace’s sanctuary at the north of the Aegean Sea. The temporary exhibition offers an electronic reconstitution of this old pilgrimage site where it has been blessed by the Greek gods. Its power of fascination has endured for many centuries and its splendor still creates a lot of emotion. Tickets: 15 €, free admission for the visitors under 18. Phone number: +33 (0)1 40 20 53 17.